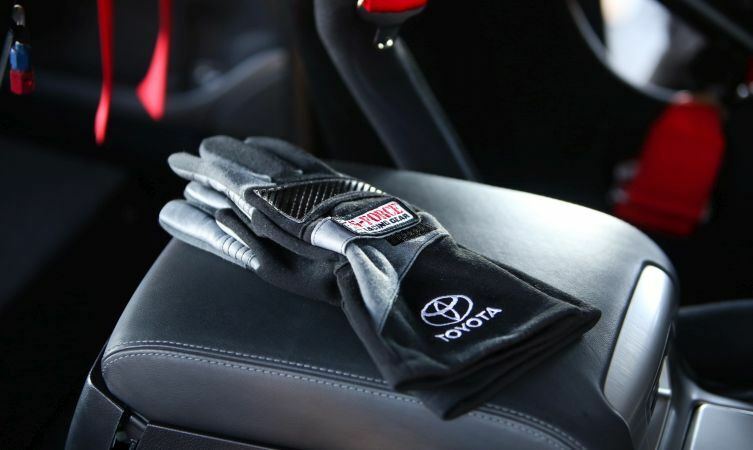 Everyone knows the Toyota Land Cruiser is about. Tough, rugged, reliable. A 4×4 with strong heritage that won’t see you stuck. 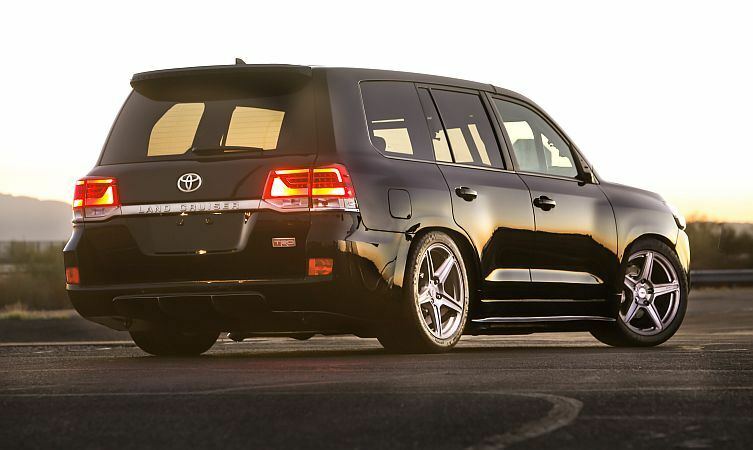 Speed and performance are not the Land Cruiser’s forte. Until now, that is. 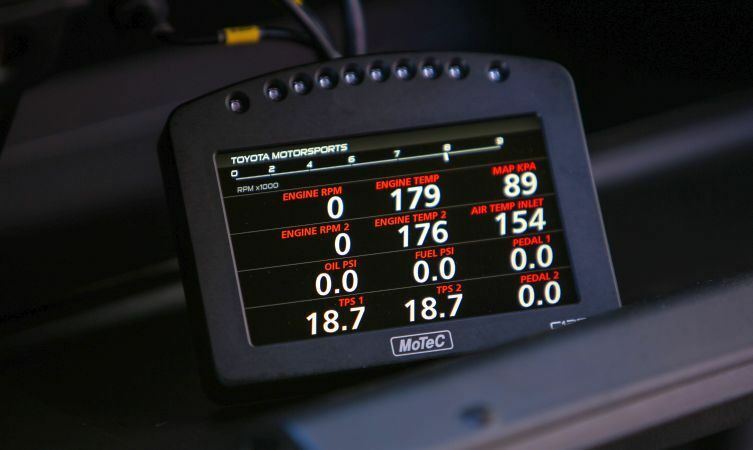 Meet the Toyota ‘Land Speed Cruiser’. 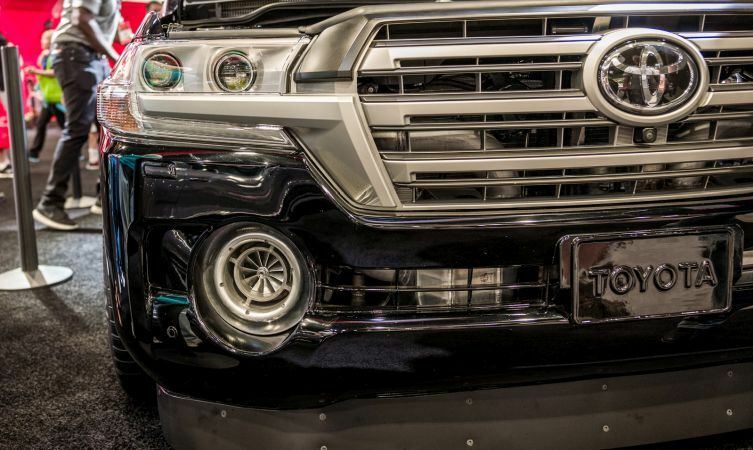 A 2,000 hp brute built by Toyota USA’s motorsports technical centre in Los Angeles for the annual SEMA show. 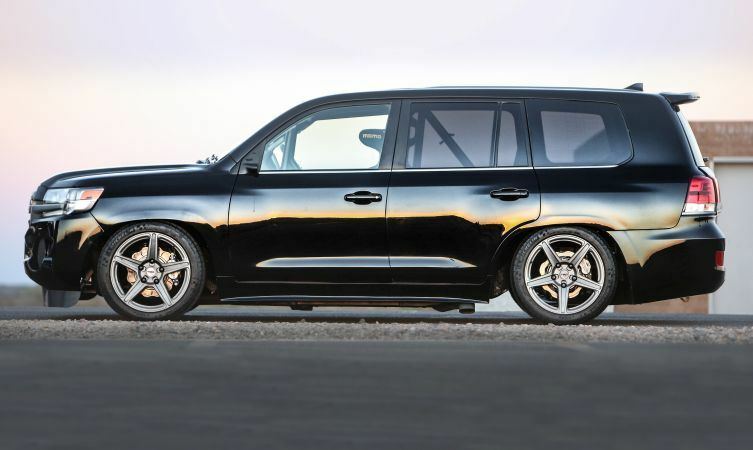 This incredible piece of engineering is billed as the world’s fastest SUV, with a potential top speed of 220mph. On the face of it, the Land Speed Cruiser looks remarkably like a stock US-spec J200 Land Cruiser (sadly this version is no longer available in the UK or Ireland). However, the low-slung stance is a giveaway that this vehicle is hiding something special. 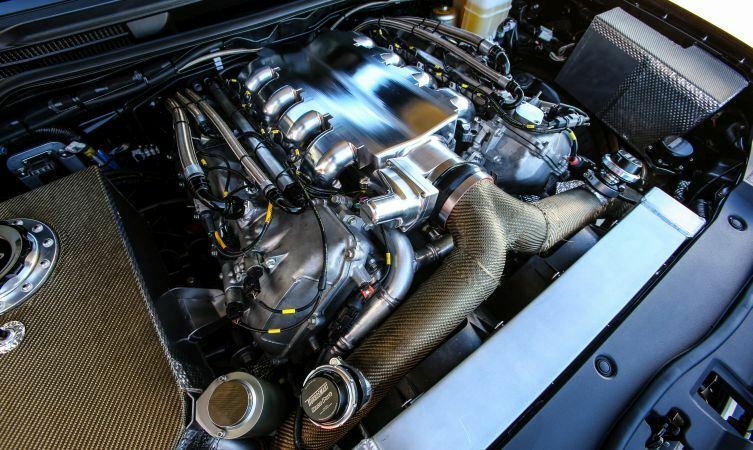 Under the bonnet the standard 5.7 litre V8 has been completely reworked to handle five times more power. The most obvious alteration to the venerable 3UR-FE is the addition of a two Garrett turbochargers, which are roughly the same size as a volleyball. The big V8 has also been fully balanced and extensively strengthened to deal with the stresses of forced induction. Pistons and rods have been replaced with forged items, the heads have been swapped for high flowing variants whilst high lift camshafts complete the build. A custom Borla exhaust system exits from the side of the vehicle, ahead of the rear wheels. 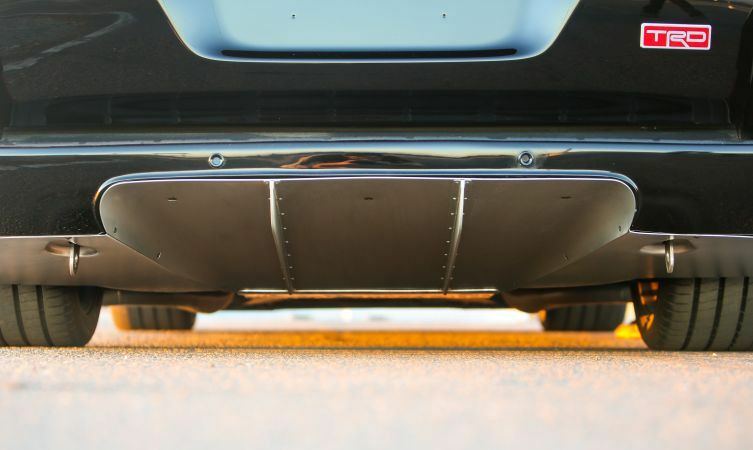 This design cue was quite deliberate – altering the exhaust route in this way allowed the Toyota engineers to flatten the underfloor area and fabricate a rear diffuser. The whole body was of the Land Cruiser was actually removed from the chassis during the project, so that the frame could be strengthened and suspension pick up points could be adjusted. Although little can be done to make the Land Cruiser’s overall shape more slippery through the air, two modifications have significantly helped its aerodynamics. The ride height has been lowered to improve handling but also to reduce high-speed lift; whilst normal “elephant-ear” door mirrors were replaced with sleek rear-facing video cameras in order wind resistance around the frontal area of the vehicle. The Land Cruiser normally accommodates seven adults with considerable comfort, but there’s only room for the driver in this particular incarnation. The purpose the empty cabin is to minimise weight while allowing room for the inclusion of an all-encompassing roll-cage to protect the driver in case of an accident. 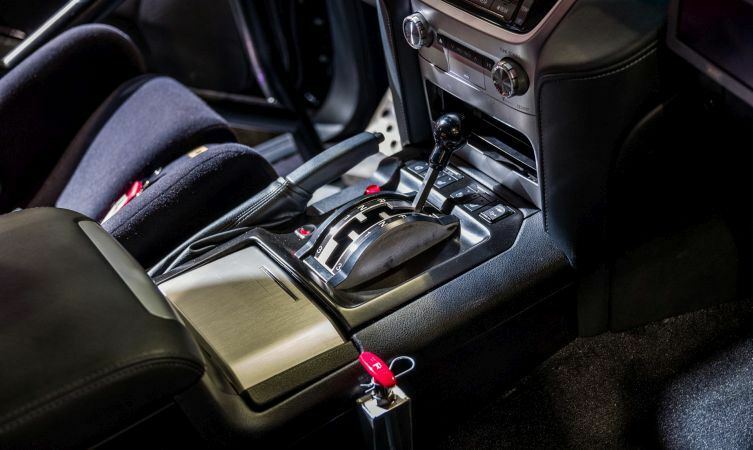 Safety also extends to a lightweight FIA-spec bucket seat and multi-point security harness, a plumbed-in fire extinguisher system, and a cut-off switch for the ignition. However still decided to preserve most of the original dashboard and trim remains; even the wood-rimmed steering wheel with its electric adjustment has been retained. An eight-speed automatic gearbox with electronically controlled air shifts puts the power through locking Weismann front and rear differentials. 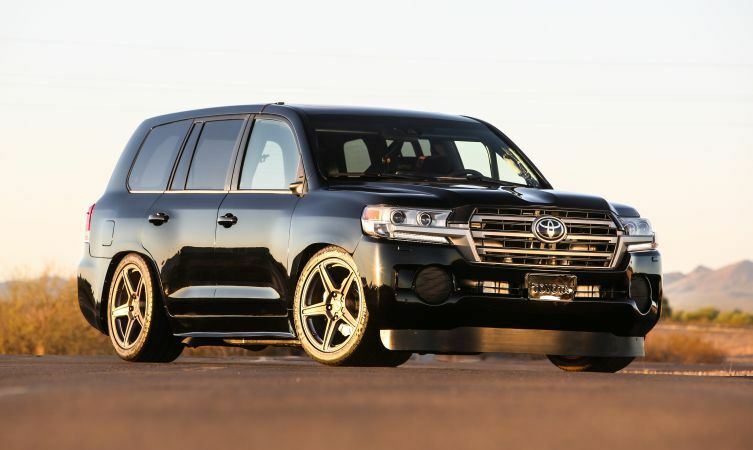 Despite the ability to reach mind-boggling speeds, the Land Cruiser retains the OEM brakes behind the 20″ TRD wheels. In that picture it looks a lot like a Subaru Forester. Which is a good thing. They lowered the suspension quite a bit which gives it that look. They took it to a NASCAR oval in the end and I think drag raced it too.